Fleeing an Earth inferno, thirty thousand humans landed on a terrifying yet beautiful planet, they named Eden, hoping to find a new start. Ten years later three hundred and sixty-seven survive; staving off the brutal, carnivorous creatures that prey on them, holding out against a formidable humanoid species known, initially, only as them, while facing insidious deceit and betrayal from within their own ranks. Wrestling through his own inner turmoil; plagued by the galling memories of Earth’s final hurrah, the death of his parents, and awakened feelings for a girl his best friend loves, shy seventeen-year-old Ristan Abel finds himself plunged into a cauldron of turmoil, treachery and treason. In trying to rescue a clan in chaos, he discovers the truth about his mortal enemies, and the human traitor allying with them to exterminate what’s left of mankind. And in the crucible, he finds himself and becomes a reluctant answer to mankind’s predicament. Welcome to planet Zika, named such by the planet’s native species, the Zikalic. A planet of stunning contrasts—unspeakable wonder and matchless horror—ruled by the monstrous Xakanic. Bent on annihilating the human race, the Head Chief of the Zikalic serves his own twisted agenda: to strengthen his rule over the bejewelled City of Zika. 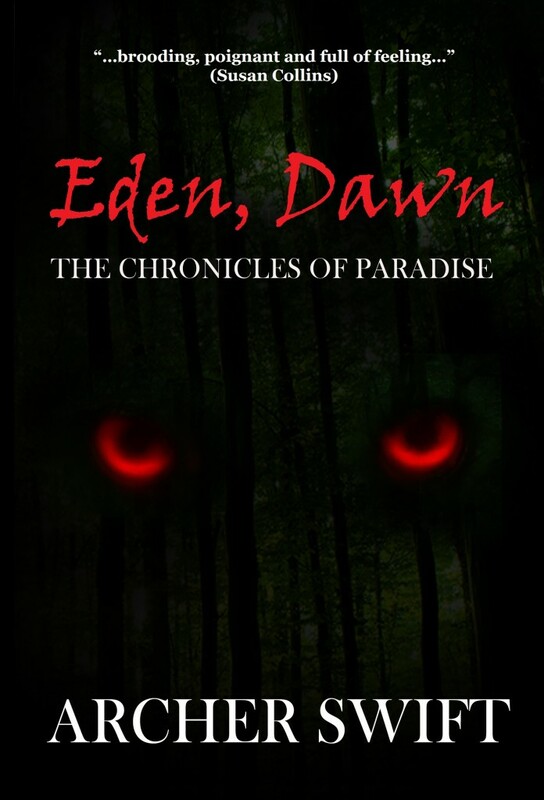 ‘Eden, Dawn’ is the first book in ‘The Chronicles of Paradise’ trilogy.